With the focus on strengthening your position in the market place as a leading business process solutions company, there is a need to build a capability for business process migrations and client project management, which is first client interface in the business delivery life-cycle. In order to strengthen the Migration Project delivery process in an end-to-end manner, there is need to deploy a digital platform that automates your migration methodology and enhances the standardization, governance and effectiveness of migration processes. 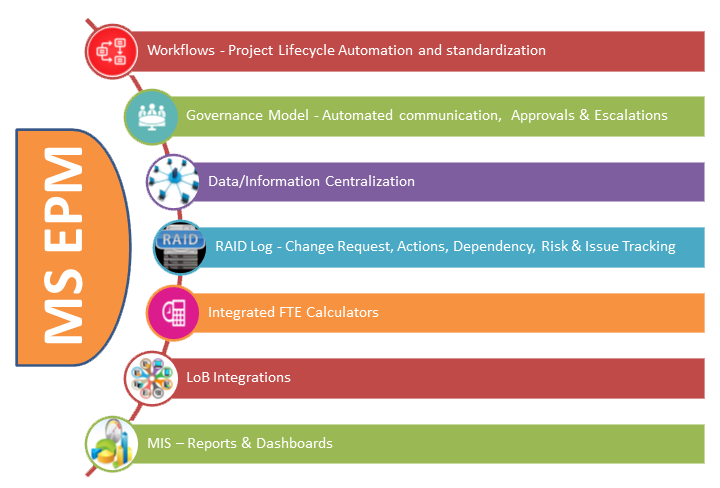 Our Transition PLC Automation tool is the Project management solution to effectively manage your migration/transition projects. 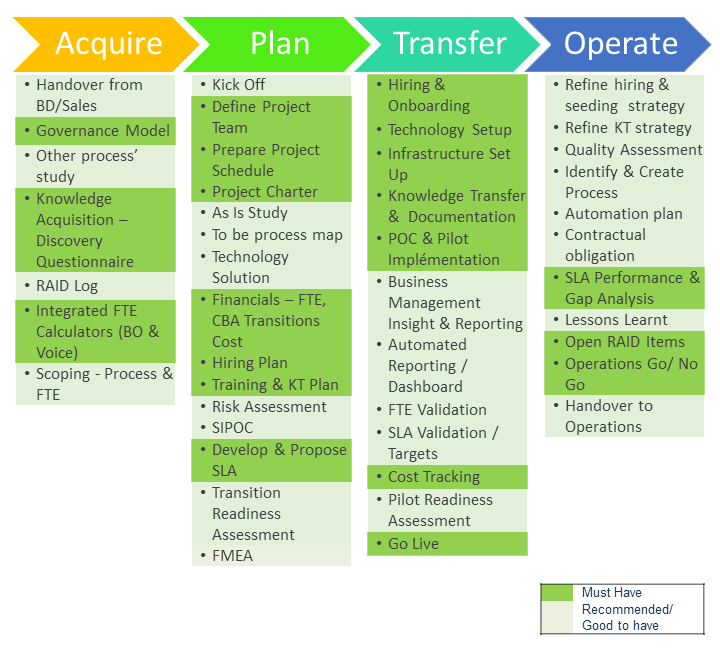 Digitize the key components of transition process to monitor and track progress in real time. MS EPM is Microsoft Enterprise Project Management or Microsoft Project & Portfolio Management that powers the Transition project management solution.